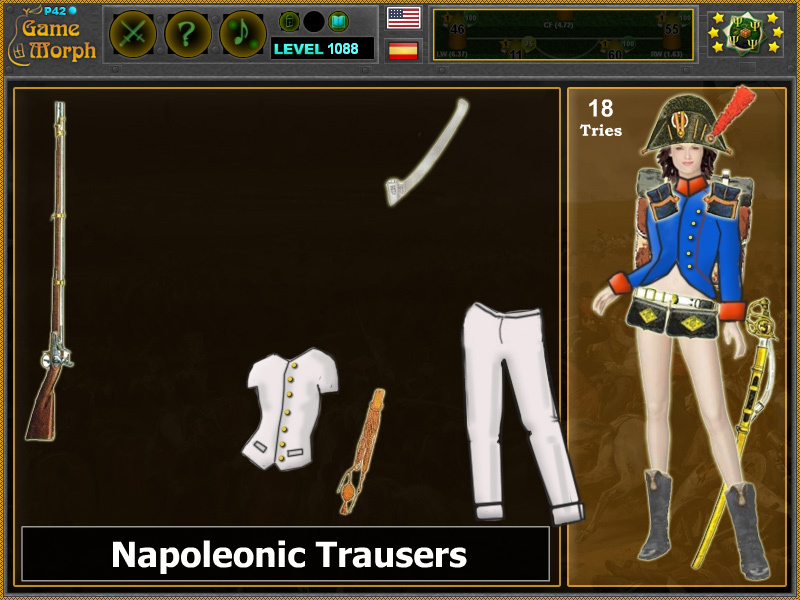 Components of napoleonic uniform and French soldier equipment in a fun online history learning game. 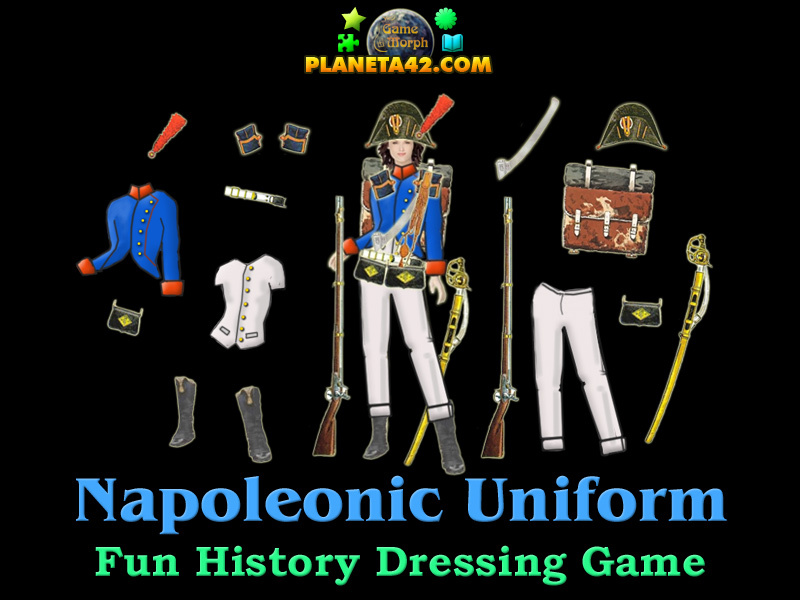 How to play Napoleonic Uniform. There are 15 parts of 1800 french soldier equipment to the right of the screen. Drag and drop them over the women body to dress up and ready for battle. Know how napoleonic soldier looks like and get +1 Knowledge Level. The colors of the French soldiers during 1800s is blue and white with red cufflinks. They also have interesting hats and ponpons. Here are all the parts of the napoleonic uniform. Labels: History Games , Dressing Games , Puzzle Games , Clothing Games , Education Games , Free Online Games.